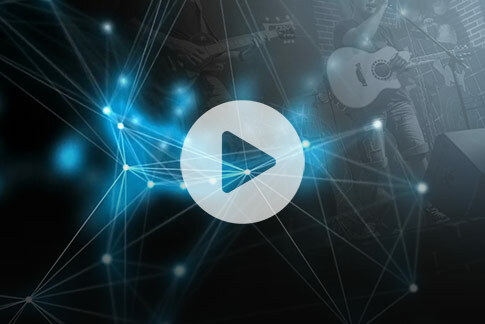 Wondering what low-latency NDI® video over Gibabit Ethernet can do for your live video production? NDI® from NewTek lets you transmit and receive broadcast-quality video with very low latency over Gigabit Ethernet networks. With NDI, video and audio can be transmitted farther over existing LANs using cost-effective CAT5/6 cables and the quality is virtually lossless. NDI gives you flexibility to choose from a wider variety of video input sources. You can access multiple cameras, software on computers, mobile devices, and more on the network using a single LAN port. No expensive multiple-port HDMI switches or SDI routers are needed. The number of NDI sources you can add to your network is practically limitless. To access NDI devices across subnets, you can manually enter the IP address of devices on those other subnets using NewTek’s NDI Access Manager. With NDI, taking your video production to a different location is a lot simpler without a whole mess of HDMI and SDI cables to manage. All your video sources are readily accessible from anywhere over the network. CAT5/6 cables are also a lot cheaper than traditional SDI or HDMI cables. Streaming multiple NDI sources at the same time is only limited by your network bandwidth. NDI video does use a lot of bandwidth. For better efficiency, NDI|HX (high efficiency) is available and uses H.264 video compression. However, NDI|HX will contribute a small bit of latency in comparison to NDI (maybe a frame or two) – but still acceptably minimal. Audio is transported uncompressed in both NDI and NDI|HX. A single 1920×1080@30 fps NDI stream needs at least 125 Mbps of dedicated bandwidth. A single 1920×1080@30 fps NDI|HX stream needs from 8 to 20 Mbps of dedicated bandwidth. The actual amount of bandwidth you need depends on the video content. 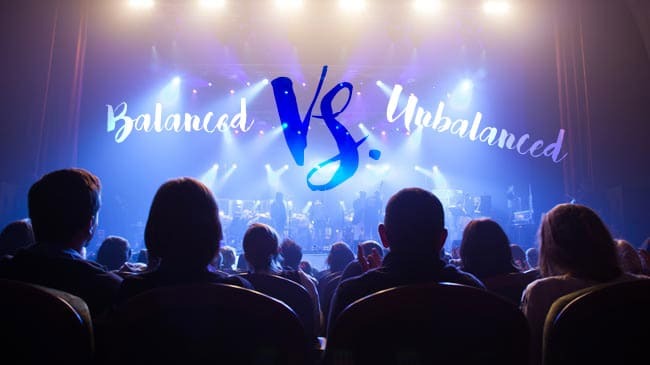 Relatively static content like a document camera or someone standing at a podium consumes less bandwidth. Content that is more dynamic needs more. 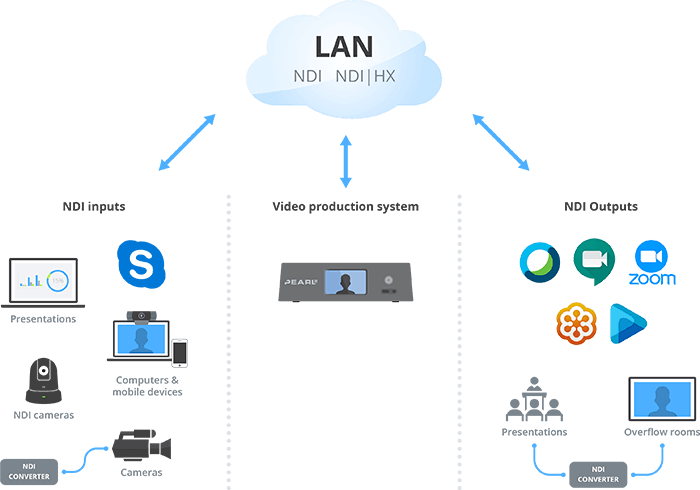 More and more software applications like Skype, NewBlueFX, EasyWorship and others offer native NDI support. 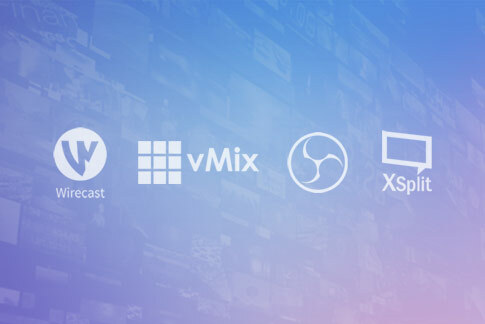 To help spur adoption, NewTek provides free NDI plugins for popular applications like VLC and Adobe Creative Cloud. 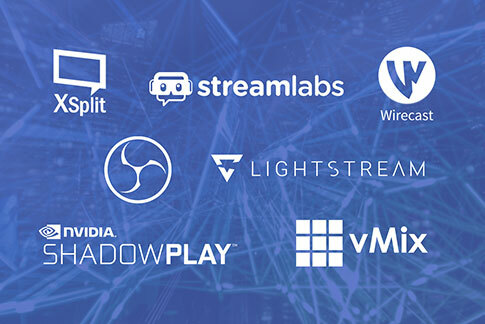 For all the rest, NewTek offers simple-to-install free NDI tools. For example, NDI Scan Converter lets you turn a computer into multiple NDI inputs that any other NDI device on the network can access. You can define live video sources like the computer’s webcam, the full-screen display, different windows or combination of windows. Even different software applications running on that computer can be converted into an NDI input. Another useful free tool is NewTek’s NDI Virtual Input application. This tool makes an NDI source appear like a standard Microsoft® Windows webcam that can be used as a video input for software like Google Hangouts, Zoom, and many others. 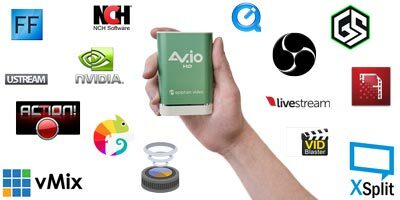 This way, NDI lets you avoid the cost of purchasing an expensive video capture card for every video source you want to bring in to your computer. All your video inputs are readily available from the LAN port. A couple more options include the free NewTek Connect and the NewTek NDI Camera app (available for a nominal fee). NewTek Connect makes any camera or device connected to a computer’s capture card (or the local webcam) available to other NDI systems on the LAN. And NewTek NDI Camera converts the output from iOS devices and Android phones into NDI video inputs. If you want to take your content further and out onto the WAN, consider using SIENNA Cloud for NDI. The many free tools and flexible options that are available are definitely helping to drive adoption. Adoption of NDI is spreading like a big net (pun intended) since NDI’s introduction to the public early in 2016. Designing NDI into your AV system is getting easier as more hardware and software options become available. There are also more NDI enabled cameras to choose from companies like PTZOptics, or Panasonic, as well as full-featured video production systems like the Epiphan Pearl-2 that support NDI. If you already have existing cameras and AV equipment, NDI is still within your reach. You don’t have to make a huge commitment to switch over all your gear. NDI converters are readily available. These converters connect existing NDI unaware HDMI or SDI video sources to the network – and convert NDI into HDMI signals for your average monitor or video projector. NDI converters range in price and features. For example, the BirdDog Mini offers 1080p60 NDI encoding, 1080p60 NDI decoding, tally, and power over the Ethernet. Here are some practical ways you can start using NDI. Including a Skype interview in a live video production workflow can be complicated. 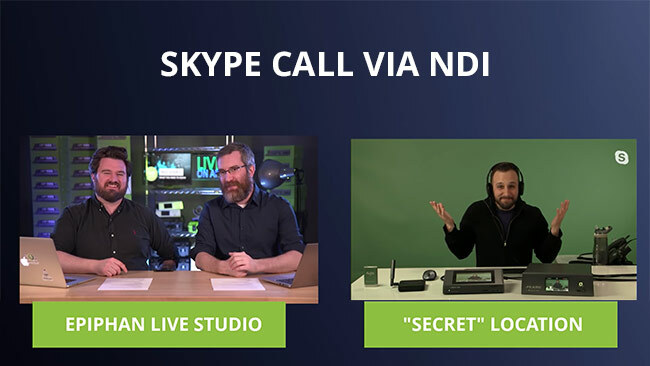 Hosting a remote guest via Skype with NDI is streamlined. Everything comes over the LAN and you don’t have to use an HDMI input on your video production system for the computer with the Skype feed. You can bring in multiple remote guests as direct NDI inputs. Guests can even share their desktops at the same time using one of the free NDI plugins from NewTek. 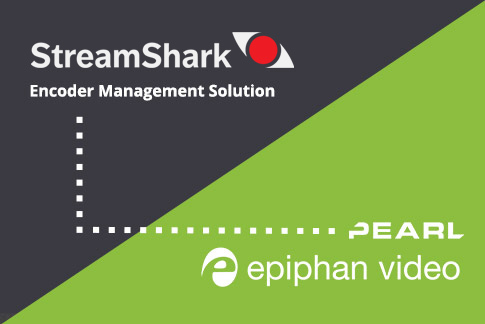 Simplify the Skype interview setup even more with an all-in-one video production system like the Epiphan Pearl-2 that switches, records, and streams video – including NDI. Create interesting layouts with NDI inputs using the built-in custom layout editor and add text, custom backgrounds, and transparent images. With NDI, you don’t need to use the HDMI ports on your production gear to connect an effects computer. All your video sources including your computer generated effects connect through the LAN port. This also lets you offload chroma keying from your production equipment for better performance so you can worry less about chroma effects. Stream NDI output to overflow rooms to accommodate larger audiences without a lot of planning ahead. Quickly and easily connect video from one room to another using the existing LAN connections in the rooms. An inexpensive NDI converter is all you need to convert the NDI video to HDMI that you can feed into a common monitor or room projector. If your event uses presentation software like Microsoft PowerPoint slides, you can easily get that content onto the LAN using the free NDI Scan Converter software from NewTek. The presentation computer becomes another NDI input for your video production system to ingest. For example, an all-in-one video production system like Pearl-2 that recorders, switches, and streams live AV presentations accepts all NDI inputs from anywhere on the network. At the same time, avoid a bunch of expensive cabling and connect your cameras to your video production system over the LAN using NDI converters and CAT5/6 cables. Improve the quality of corporate town hall meetings, conferences, and training without replacing your existing conferencing software such as Google Hangouts, Zoom, GoToMeeting™, or WebEx. With NDI, you can set up multiple 1080p cameras in a room and use the existing LAN infrastructure to connect them to your video production system. Get great looking video and audio with a lot less hassle and expense. Use your video production system to create a dynamic switched program and then send that switched program into the computer that’s running the conferencing software. Over HDMI, you need a capture card like the AV.io HD to get the video into the computer. But using NDI, you can avoid that. If your video production system outputs NDI like Pearl-2, ingesting the NDI becomes an easy and inexpensive process. Simply install the free NDI Virtual Input software on the computer that’s running your conference software. Your switched NDI program appears like any other connected webcam source that you can select using the conference software. 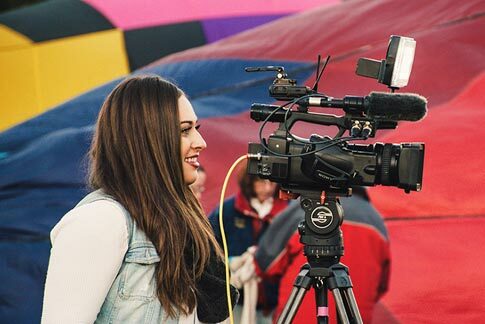 NDI opens up new opportunities to make your live video production workflow easier and more flexible. You can save money on cables and infrastructure by using the existing Ethernet network and gain easy access to a lot more video sources at broadcast quality. 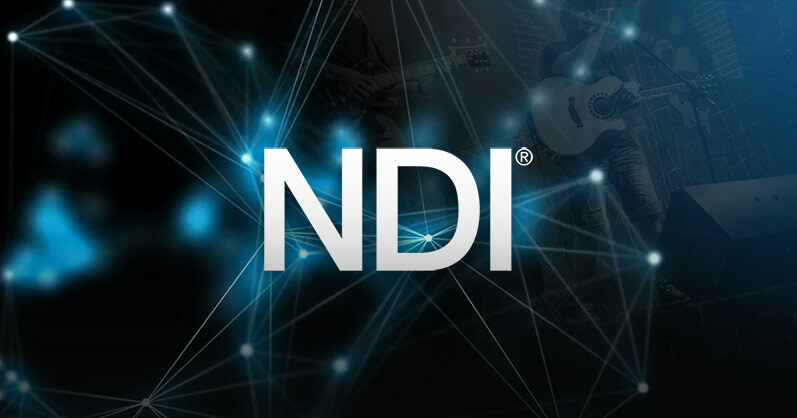 There are free plugins and tools from NewTek to help you start incorporating NDI into your current AV system right away. NDI output from Pearl-2 is recognized as a webcam and is compatible with other NDI applications and devices that support webcams as an input, like Skype and many more.